I do have a battery operated, automatically retractable measuring tape. Which I have misplaced. I think it is in the garage? I have another 25′ one, my favorite, which I have accused the Boy of losing. The Boy likes to measure stuff- when he was littler, we would read animal encyclopedias together, and it was worlds different from reading with the Girl. With her, we would snuggle with a story, and predict what might happen, and find the rhyming words, and talk about the characters. With the Boy, we would read a little fact box next to a picture of say, a Siberian tiger. Then he would hop off my lap, hand me one end of the measuring tape and walk backward until he got to however many feet. 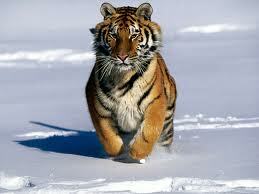 The Siberian tiger sticks in my memory, because it was too big for the living room. This isn’t a technique they taught me in teacher school, the kid just came up with it on his own. We didn’t get him one, and I wish we had, because then maybe mine wouldn’t be in a snowbank, or in the bottom of a toybox, or who knows where. We looked in all the usual places. So, the last time I was at the dollar store, I went ahead and bought a new measuring tape, so that I can measure stuff so that I can work on the projects on my list. Previous The Bathroom Remodel? Next Bloom Day- Welcome Back Topside, Persephone! Mostly measure blue whales!?!?!??! He’s a genius!!! “Mostly blue whales.” Dang. I’ve said it lots before, and I’ll say it lots more: I really hope I spawn cool kids like yours.